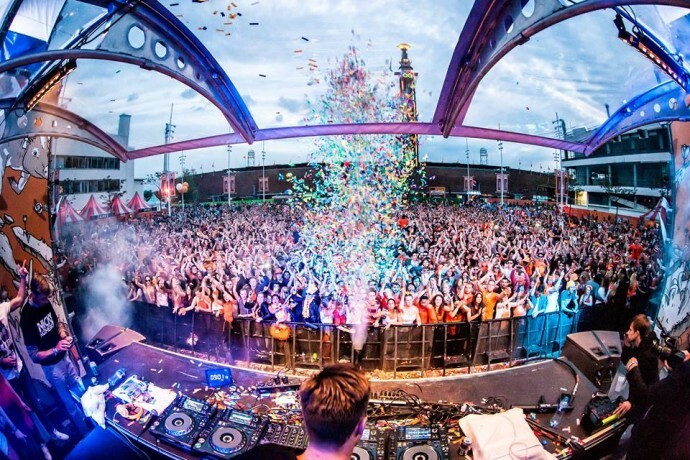 On the 27th of April, Kingsday Festival returns for its fourth edition at the Olympic Stadium in Amsterdam. One of the absolute headliners is Jack Ü; the exciting new collaboration between the great Skrillex and Diplo. After exclusive performances at the American Ultra Music Festival and Burning Man last year, Kingsday Festival has managed to bring this epic duo to Amsterdam. Next to this scoop, other international artists such as Knife Party, Kygo and Robin Schulz have been added to the line up. Once again, the festival takes place at and around the Olympic Stadium in Amsterdam. It is an approximate 10 minute walk from the Amsterdam South (Amsterdam Zuid) train station. Visitors are advised to follow the indicated Kingsday Festival signs in order to walk the outlined route to the venue.